Event safety is a primary concern for all event organisers, something which UK Stage Hire Ltd understands. 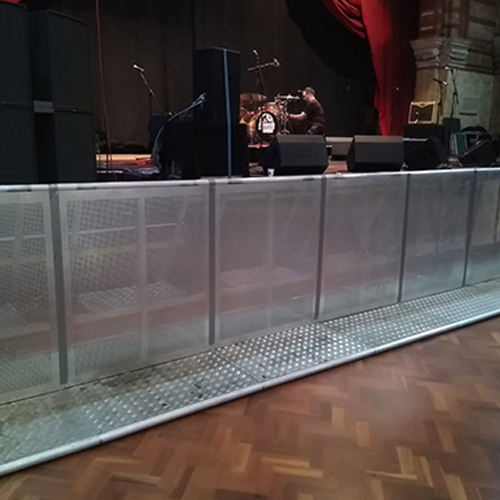 The barrier is designed to sit between the stage and the crowd, providing a safe area for security and medical personnel to work and to prevent the crowd from injury. Pedestrian barriers are commonly used at many public events. They are frequently visible at sporting events, parades, political rallies, demonstrations and outdoor festivals. 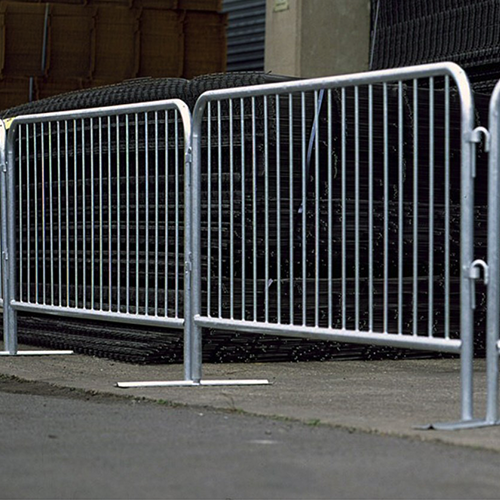 Event organizers, venue managers, and security personnel use pedestrian barriers as part of their crowd management planning. The aluminium barrier is the result of continual product development. It is durable, strong and lightweight, which makes it a favourite among event organisers looking for a safe but cost effective system. This lighter material saves installation time, transportation and manpower and the barriers can be stored and transported in 10 piece dollies or the new five piece dolly for easy access into smaller venues. The clean silver look and round top bar on this barrier gives a state of the art appearance, now also available in black and suitable for any event or venue. It is also complies with all major safety standards. We hire, deliver and supply security fencing for constructing temporary enclosures and partitions where the safety and security of the public is an issue. 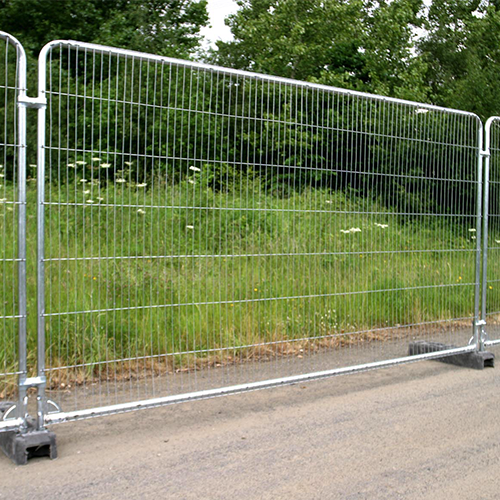 Our fencing can also facilitate gate entry to events. Supply security heras fencing panels of 3.5 metres x 2 metres, in excellent condition, with rubber or concrete bases. If extra privacy or greater security is an issue at your event we can also prop the fence and supply screening. 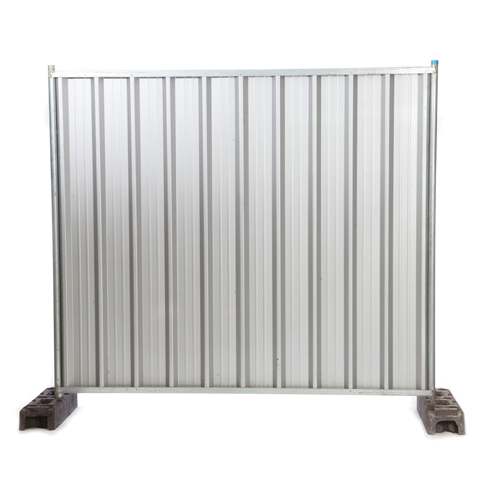 The ultimate privacy and security, supply security solid panel of 2m x 2m, in excellent condition, with bases. Call and talk to the stage hire team about your fencing specifcations and we will help with the layout and design.